This is a familiar scene in dental clinics—a patient comes in for a check-up on a sensitive tooth and after thorough diagnosis it will be found out that it can no longer be filled regularly. This will leave the patient with two options: a root canal treatment to save the tooth; or a tooth extraction to remove the problem. Most often than not, a patient will be quick to decide on an extraction despite its ramifications because of root canal horror stories. “My friend says it’s the worst thing you could ever go through in a dental office” and based on that they make a final decision. A root canal treatment is a pulp therapy which involves killing the tooth. To do that, files will be inserted into the pulp canal to remove the nerve tissue that has become infected. A root canal is indicated when the decay is too severe and a filling is no longer possible. When the decay has encroached in the area of the nerve tissue, it is contaminated. The canal is cleaned and then shaped using a series of files. This procedure can either be painful or painless. 1. Tooth is vital. When a tooth is vital it is still alive. While this is not true for all, some vital teeth will exhibit extreme sensitivity during pulp extirpation (pulling out of the pulp tissue). Some patients feel it all and it is excruciating. 2. Patient has low pain threshold. This is a big factor. The way that someone handles pain is often dictated by his capacity to withstand the stimuli. Some patients have high a pain threshold so they do not feel pain that easily; while some people have very low and will absolutely die with just minimal stimuli. 3. There is abscess. If there is an active infection, the anesthetic solution almost does not work its magic. In this case, the composition of the abscess and the anesthesia cancels each other out, so the solution is not successful at rendering numbness on the area. Either its effects will wear away faster than usual or it will be shallow. Root canals are necessary evils in the dental clinic. It solves the problem, albeit in extreme dramatic fashion, but what you have to understand is that pain is very subjective. This means that a negative experience for one does not automatically relate to your case. 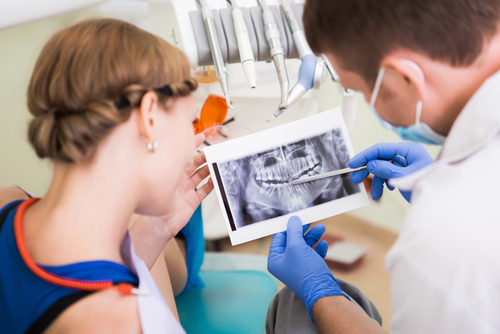 As a matter of fact, there are some patient that receive two separate root canal treatments at different times may have an excruciating pain experience on one and have relatively pain-free experience on another. In other words, it is not automatic that you will undergo extreme pain. Some root canal treatments are completed with the patient snoring while lying down, totally comfortable with the whole thing. Think about it this way: whether or not you feel pain during the procedure is a consequence that is ultimately better than to lose a tooth and wear prosthetics. A few minutes or seconds of suffering is still nothing compared to permanent and irreversible loss of a tooth.